Home siding comes in a variety of styles, textures, and colors. You can select from many different clapboard widths in horizontal or vertical styles. You can choose smooth or woodgrain finishes. Vinyl siding offers a wood-like appearance without the costly maintenance and repairs that other types of siding may require. Vinyl siding will not split, peel or rot. It never needs to be scraped, painted or stained to sustain many years of beauty. MCM also offers a full line of accessories, including shutters, upgraded soffit, trim, and gutters. If you’re looking to give your house that curb appeal you desire without painting and years of maintenance, schedule a free estimate with MCM Services, Inc. 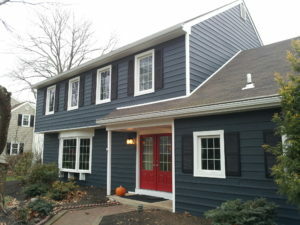 Protect your home and give it a “face lift” with new siding and trim from MCM Services. Call us today!